Dingdong Dantes just shared on his Instagram story a photo of wife Marian Rivera with baby Jose Sixto Gonzales Dantes IV. "Yahoo! 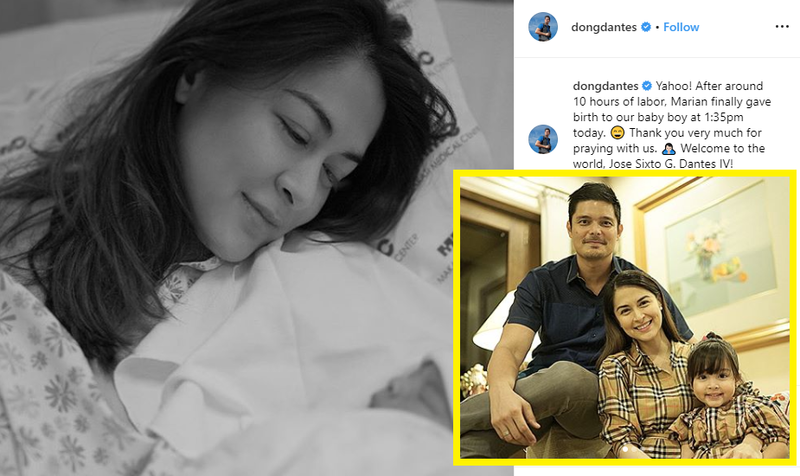 After around 10 hours of labor, Marian finally gave birth to out baby boy at 1:35pm today," Dong said on his IG post. Last year, the Kapuso stars Dingdong Dantes and Marian Rivera revealed the gender of their second child through a video. It was taken during the Color Run last November 18, showed snippets of the couple's vacation abroad and part during daughter Zia's birthday party. Fans and celebrities expressed their joy and congratulates the couple as baby Sixto is finally joining Dantes family.